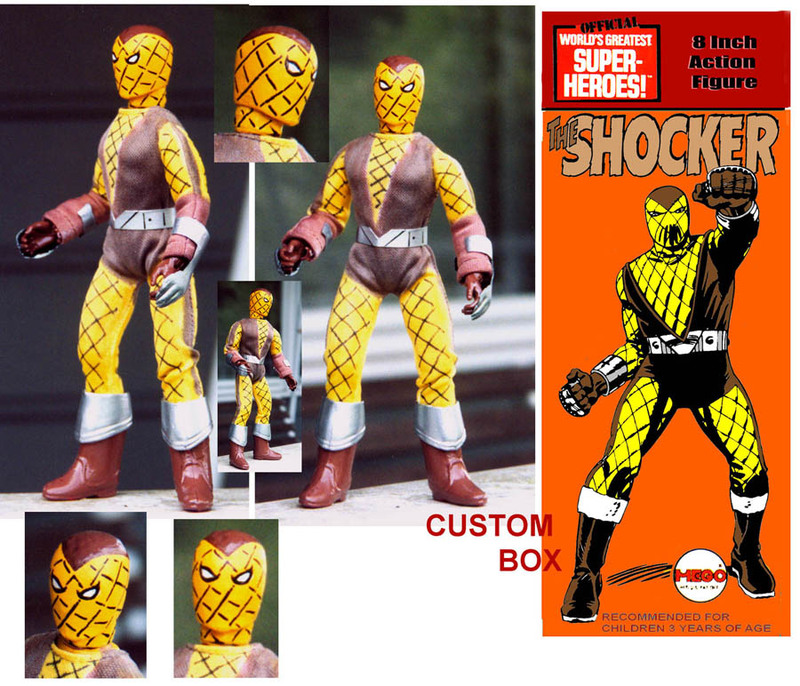 It's Spider-Man's foe The SHOCKER! This Mego custom features a plaster cast of Spidey's head, with custom marker-created suit! Add "Dr. Mego" gloves, boots, etc, and here's one more great "lost" Mego!